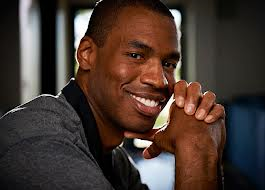 Good For You Jason Collins!! I wanted to congratulate Jason Collins. Jason is an active player in the National Basketball Association (NBA) in the United States. He just announced openly that he is gay. This is a big story in the United States as Jason is the first active player in the NBA to come out. I salute and support him 100%. I am hopeful that this will bring all of us closer together and not divide us. We are all One and we need to have acceptance, tolerance and respect for each other. This is about love. We need to treat others as we would like to be treated. We all bleed red and we are all children of Mother / Father God. There is no room for judgment, criticism and separation. Nice done Andy! All is about Love, and I want to Jason could see what You have posted. This Men and Woman are for the most very spiritual developed. Go on spread Love! Gays and Lesbians.. they are very sensitive human beings.. they have a special touch in their hearts..I’m very happy they are getting out of the closet..They are human beings like any other… We must not forget.. THAT WE ARE ALL ONE !!! That is wonderful! My brother is gay and I know what a challenge it is to be accepted as just a normal human being! This entry was posted on April 30, 2013 by Andrew Bojarski in Andrew's Posts and tagged Arch Angels, Ascended Masters, Ascension, Awakening, Channeling, Energy, Energy Healing, Healing, Higher Self, Love, Meditation, Spirituality.